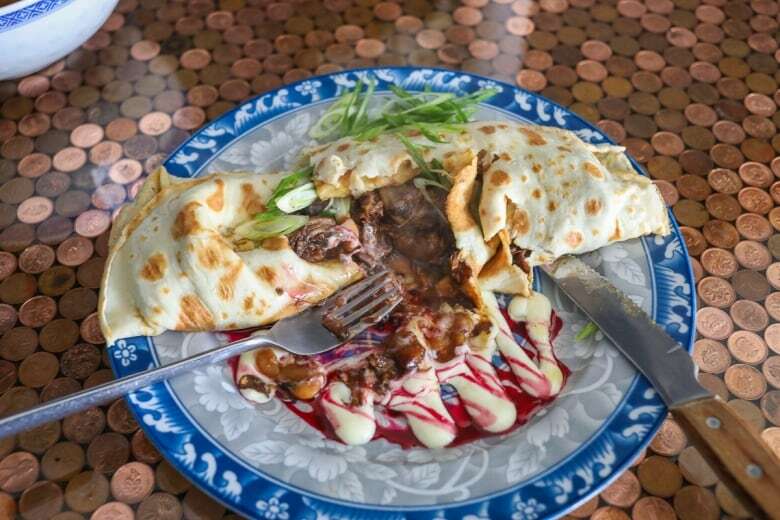 Metro Morning food guide Suresh Doss visits Young Animal, which serves up a signature oxtail crepe. Young Animal is at 1144 College St.
One Friday night, I bobbed my way through the Royal Ontario Museum's upper gallery halls at its Friday Night Live event, shifting from one music set to another. FNL — as it is commonly referred to — is part social mixer, part moveable feast and an all-out dance party. Aside from the idea of dancing next to Jurassic-era beasts, I believe that FNL has done more for the city's food pop-up culture since the now-defunct Toronto Underground Market. For years, budding entrepreneurs have been setting up at the ROM to introduce their kicked up versions of international street food to new audiences. Skyrocketing lease costs in the city deter many new food entrepreneurs, so most look to low-risk events. Somewhere in that conjunction of hip hop and house anthems was where I was first introduced to Adisa Glasgow. "I think that guy is serving doubles," my then-girlfriend (now wife) said, pointing to a food stand tucked in the corner. The room was dark, and the only thing visible was a bright banner titled "Young Animal TO." 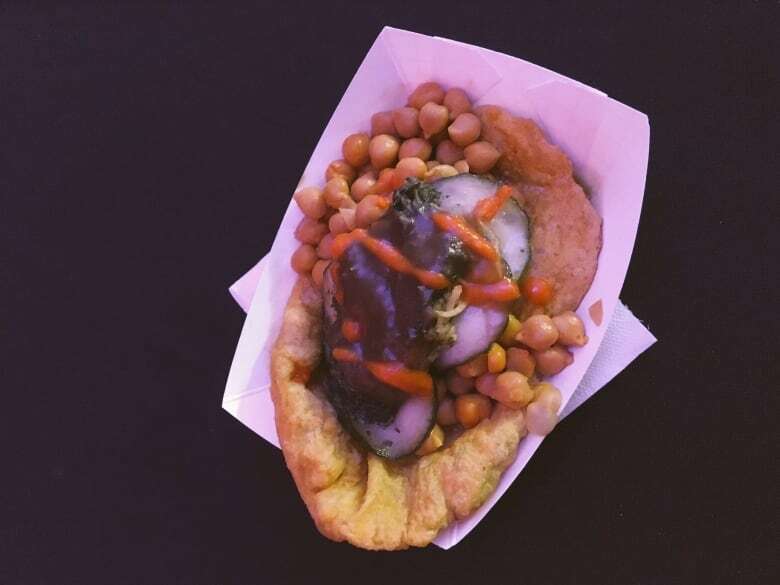 While most food pop-ups had a recognizable menu made up of sandwiches, tacos or poutine, this stand featured Trinidadian cuisine. Trini doubles can be a messy experience. Spilling over with sauce and chickpeas, you're asking a lot of your sharply dressed patrons to stuff their faces with curry. But the doubles were excellent. They had the right texture contrast of crushed and curried chickpeas, sandwiched by two moist baras (flat fried bread), and laced with a house brand of Trini-style scotch bonnet hot sauce. Every FNL I have attended since then, I would secretly hope that I would run into Glasgow's pop-up stand. Born in the coastal community of South Oropouche in Trinidad and Tobago, Glasgow says he was inspired by his grandmother at a young age. "She was blind yet she knew her way around the kitchen. I was very impressed with that. That got me," he said. After his parents separated, Glasgow moved to Vancouver with his father at the age of 12. "I learned how to cook here; how he stewed chicken, how he marinated." Glasgow's interest in cooking developed over time and he found himself working in French and Italian restaurants. "That's where I started to tweak my cooking and refine the edges." Glasgow moved to Toronto after meeting his girlfriend, Erica Blesa. By day, she's a teacher; by night, she manages Glasgow's food enterprise. "I fell in love and moved to Toronto," he said. Prior to launching his pop-up, Glasgow worked at a number of restaurants throughout the city from Keriwa Cafe to Grand Electric. Tried the doubles at 416 Snack Bar? Glasgow had a hand in perfecting the version that is currently on the menu. Glasgow says he's had a dream of "bringing Trinidadian food to the masses" and Young Animal was born after Blesa encouraged him to start a pop-up in 2015. Glasgow's pop-up toured through the Greater Toronto Area farmers market and event circuit over the years, serving a slightly refined style of Trinidadian cooking. "What I cook is not necessarily what you'll see at restaurants in Trinidad. I'm cooking home food and street food. I take these old family concepts and I tweak them a little to give it my own style," he said. 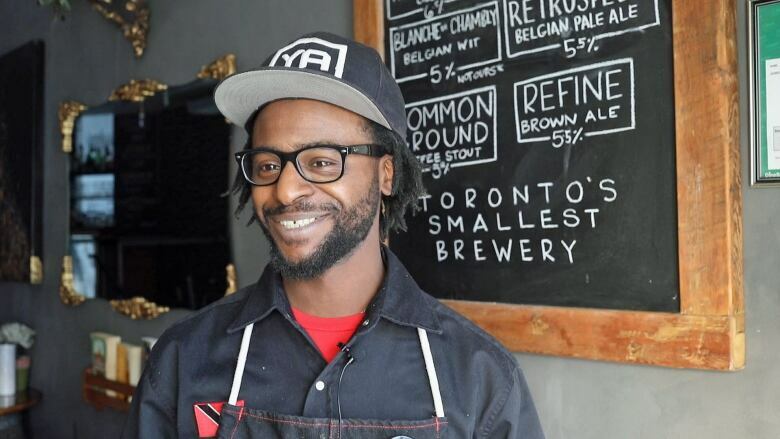 Recently, he announced that he had found permanent residency in the kitchen of Laylow Brewery, one of Toronto's microbreweries. "The owners and I have been friends for a few years, and we have done many pop-ups together since they opened. A partnership was formed and now Young Animal has a home." Laylow Brewery opened in late 2016, and to this day, remains one of the smallest indie breweries in Toronto. They make a half-dozen styles of beer — mostly inspired by Belgian beer styles — in small batches. Colin Weadick is one of the owners of Laylow Brewery. Weadick and his partner Dan Boniferro saw Glasgow's style of cooking as a great complement to their Belgian whit beers and pale ales, and invited him to take over the kitchen. When I met Glasgow at Laylow, he was putting the finishing touches on his signature oxtail crepe. 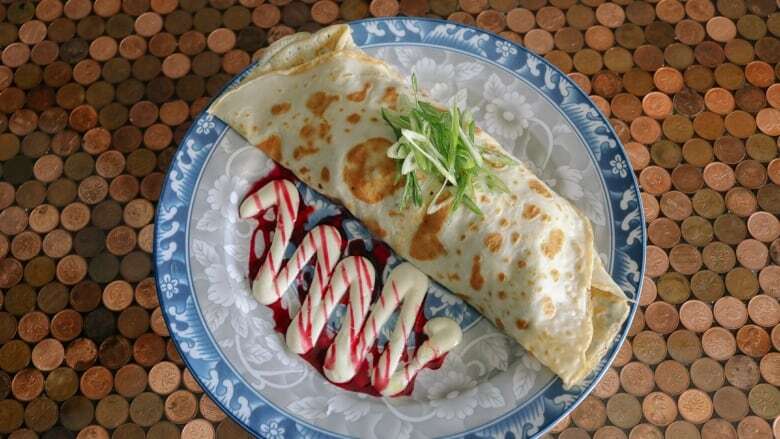 Glasgow started toying with the idea of an oxtail crepe a few years ago. "Everyone loves oxtail roti. I wanted to see if I could create a lighter version of that; something you can enjoy without feeling stuffed." 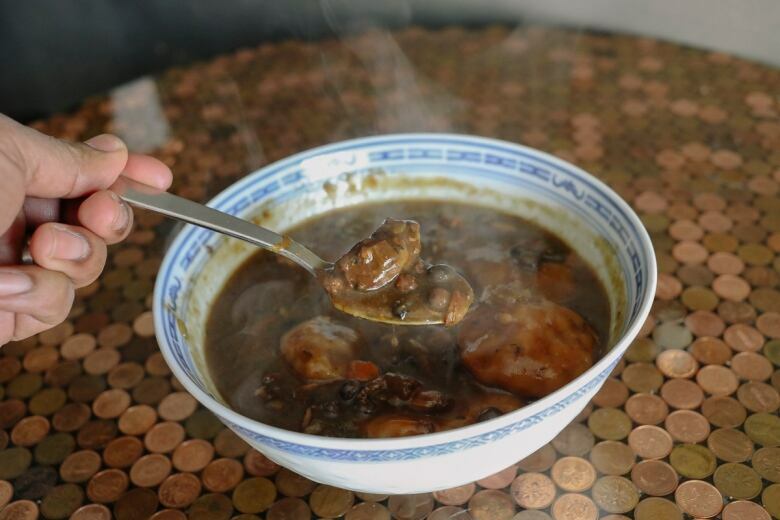 Large chunks of oxtail discs are slow cooked for seven hours in a myriad of vegetables and dry spices. "It's my dad's recipe with some slight modifications," Glasgow said. "The secret is a little bit of Maggi." Glasgow praises the dark brown liquid seasoning. The Swiss sauce may be the pièce de résistance for the dish. 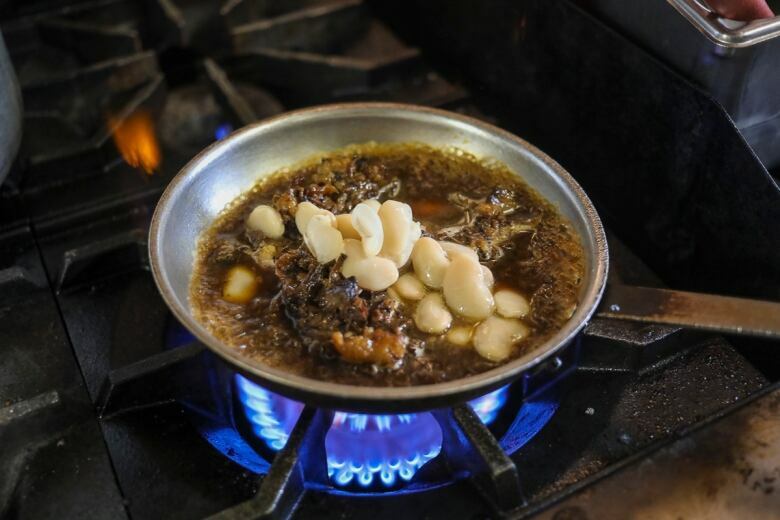 It brings a deep, roasted pungency to the rich stew with a flush of umami. Glasgow strips the meat off the bones and tucks it into a thin coconut milk crepe with a heap of lima beans and finishes it with a coconut mayo. "It has the sweet and salty notes with the lightness from the crepe. It goes very well with the beers here." Now equipped with a fixed address and a sizeable kitchen, Glasgow is stretching his wings beyond those days slinging doubles to clubbers. He is pulling from his time in his grandmother's kitchen when building the menu. "My menu is a culmination of my pop-up journey over the last few years. I've slowly perfected these recipes to where I want them." One of my favourite new dishes of Glasgow's is his stew beef, a hearty dish with pigeon peas in a dark pool of vegetables and dumplings. It's unlike anything else I have had. Glasgow uses a similar technique to the oxtail, and tosses in some dumplings to soak up the sauce. "Just your average Trini dumplings, fried dough balls. I throw them in there and the sauce really gets into it." Not to worry, the doubles are on the menu, and Glasgow serves them late. His bara is still the right consistency, slightly moist and chewy, and the channa curry is a perfect mix of mushed and whole chickpeas. There's lots of hot sauce and lots of tamarind. It goes down so well with Laylow's microbrews. 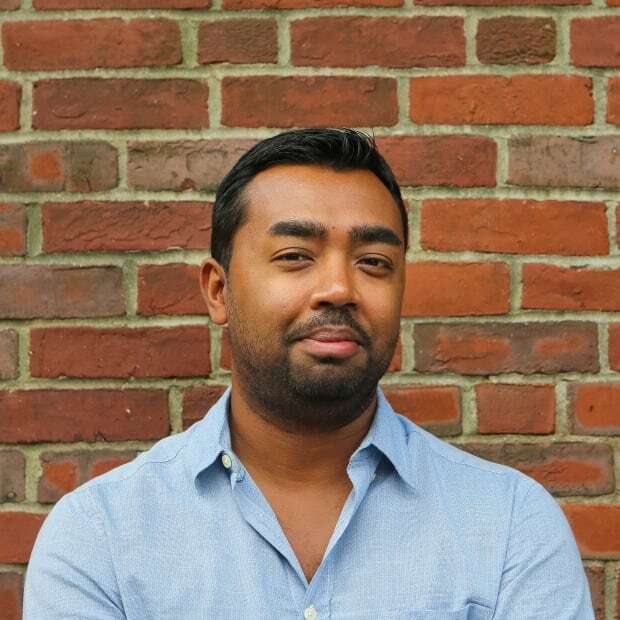 "Now that marriage between craft beer and Trinidadian food — I'm thinking that's not really something that exists yet. If we can be pioneers in that, I'd be really jacked up. That would be awesome."